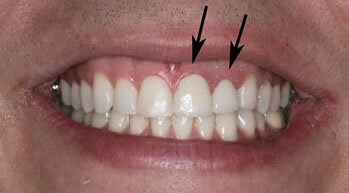 Before Treatment consisted of ceramic crowns on the lateral incisors, the blue arrow is patient's natural tooth and the black arrow is on an implant. 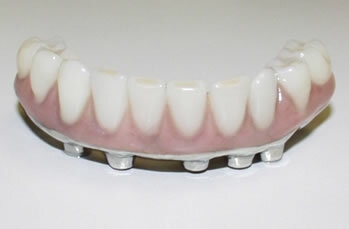 Implant supported teeth before being placed in patient's mouth. 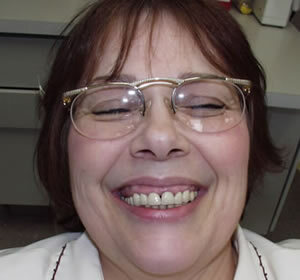 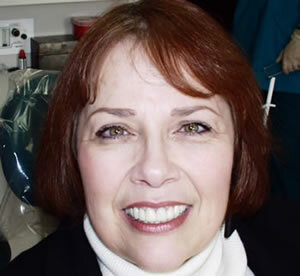 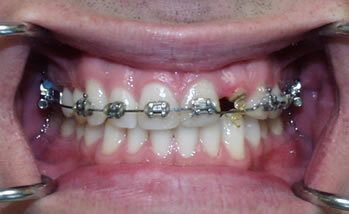 Treatment involved lower implant supported teeth, resting on 5 implants. 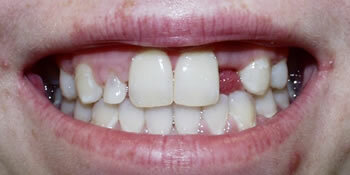 These teeth stay in the patients mouth but can be removed by the dentist. 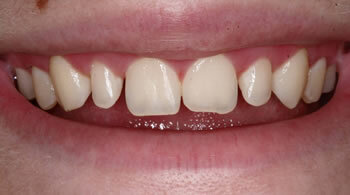 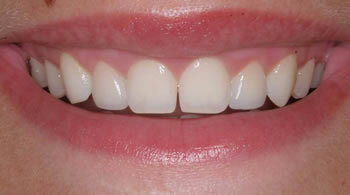 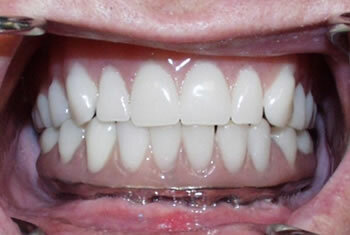 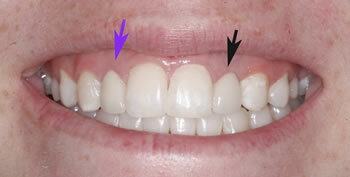 Before All ceramic crowns on upper lateral incisors.